Orchard Cottage, 2 bedrooms, sleeps 4/6, lovely gardens. Double sofa bed (4'6") in lounge. Well equipped kitchen, gas oven and hob, fridge, microwave etc. South facing large lounge/dining room. Wi-Fi,Digital TV with Free view & DVD player, CD player etc. Sunny south-facing furnished patio. Off road parking.This delightful property is set in one acre of beautiful gardens with a summer house and a large pond. The bungalow has two bedrooms, a kitchen, shower room & a south facing lounge / dining area. Set amid charming countryside within easy reach of the forest of dean, Symonds yat, Cheltenham, Gloucester, the Cotswolds, Malvern & Hartpury College. Close to numerous attractions. Excellent base for touring, fishing, cycling and walking. Please see phots & reviews. The owners Clive & Kaeren have lived in the area all of their lives. Washing & drying service available. My wife and I, our son and daughter in law and our two granddaughters stayed in August. We used the log cabin and one of the cottages. Basically, it was perfect for what we wanted. The accommodation was excellent. And, as the site is secure, the two little ones could run free in the grounds and visit the ducks and ducklings on the pond or play games on the lawns. Clive was always available for a chat or for advice about the local area - and he was great with the children. Malvern and the Forest of Dean and Cirencester are all within easy reach and - although the site is rural and very peaceful - the city of Gloucester is on the doorstep. Highly recommended. Many thanks John & family fo your review. We are so glad you had a good holiday. Comfortable, scenic and immaculate cottage operated by a terrific couple who live next door. Wonderful walking in surrounding countryside. Many thanks Joan & David for your review. It was a pleasure to have you as our guests. Best wishes Clive & Kaeren. Delightful, warm and comfortable accommodation; attentive owners and a lovely setting. We had a lovely family holiday visiting lots of beautiful places that are so accessible from this location. From the lovely welcome to the fond farewell, the owners were on hand to make our stay as enjoyable as possible. The garden and wildlife made our stay even more special. Keep feeding those ducks Clive! We would not think twice about booking this cottage again or recommending it to others. Many thanks for taking the time to review the cottage. We are so glad you had a nice stay with us. Kind regards Clive & Kaeren. The cottage is wonderful, cozy, clean and functional. Clive and Kaeren were very accommodating and helpful with any questions or needs we had. Highly recommend this property. We are so glad you had a good stay with us. Very best wishes Clive & Kaeren. The accommodation is of a high standard and the owners could not have been more friendly and welcoming. Beautiful gardens with birds and other wildlife. 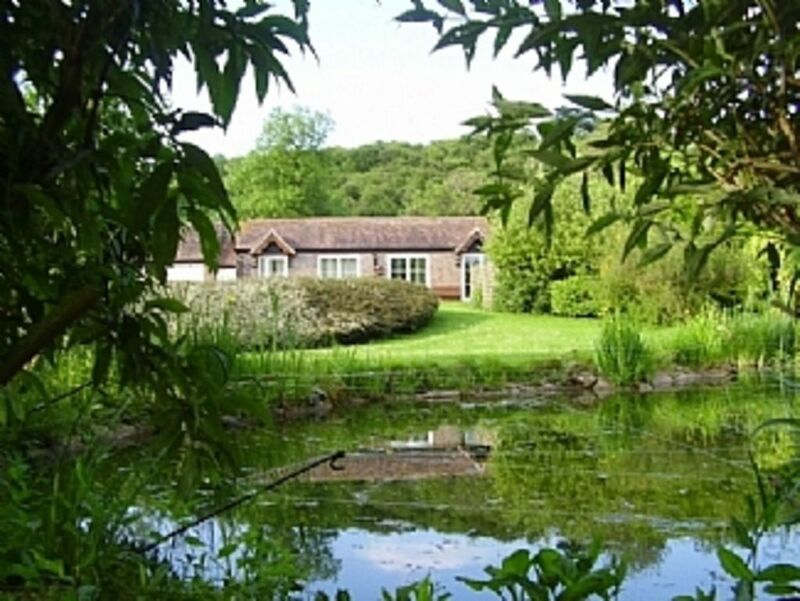 Lovely surroundings and within easy reach of Forest of Dean, Wye Valley, Malvern Hills and other unspoilt countryside. Would definitely visit again. We are so glad you enjoyed your holiday with us. It would be great to see you again one day. Our stay was lovely. The house is in a quiet and peaceful place. We enjoyed a Lot in the garden, nice a full of animals!!! The owners were very friendly, all time helped us and recomended about our trips. We loved this accommodation. Many thanks for your lovely review. We are so glad all was good for your visit to England. Hope to see you all again one day.